Some days you just can’t fathom how you could love someone so much, and them continue to treat you badly. For you to care an insane amount, and for them to push you away constantly. For you to give them your heart, only for them to repeatedly crush it in their bare hands. You’d think when you exert that level of thought and energy and love towards someone they’d do the same for you, but they don’t, and they’ve shown you that they won’t, time after time. Yet you continue on that path in hopes that things will change. 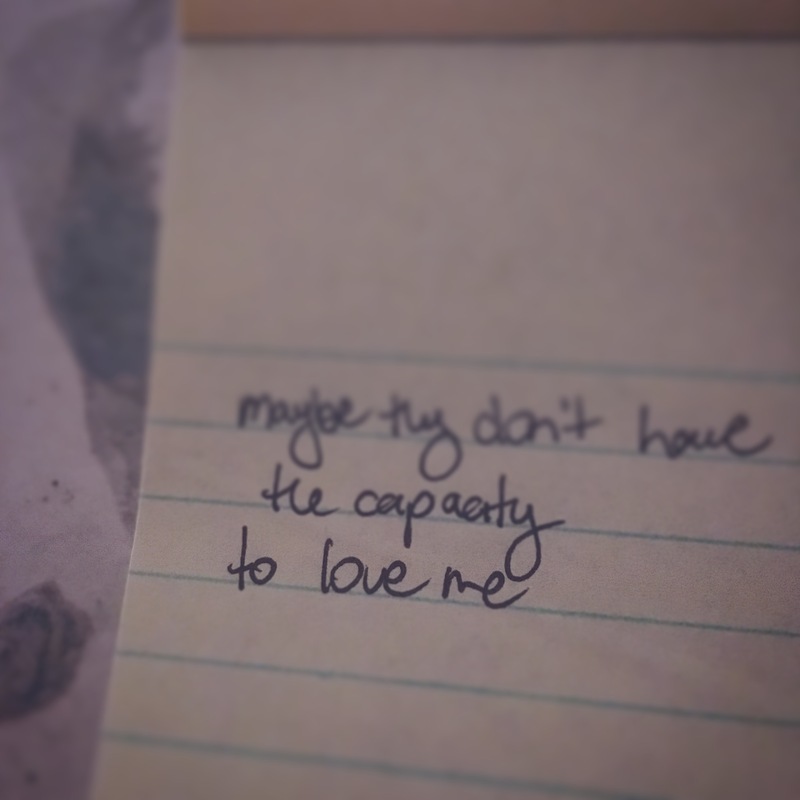 And some days I think maybe the reason they don’t is because they don’t have the capacity to love me. Not to the same depth as I love them. And that’s a hard truth to face but the sooner I come to terms with that the better quality of life I will be able to live. I have to cut out toxicity from my life, it’s just that this one is deeply ingrained, and it feels like carving out a piece of me.